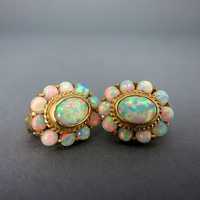 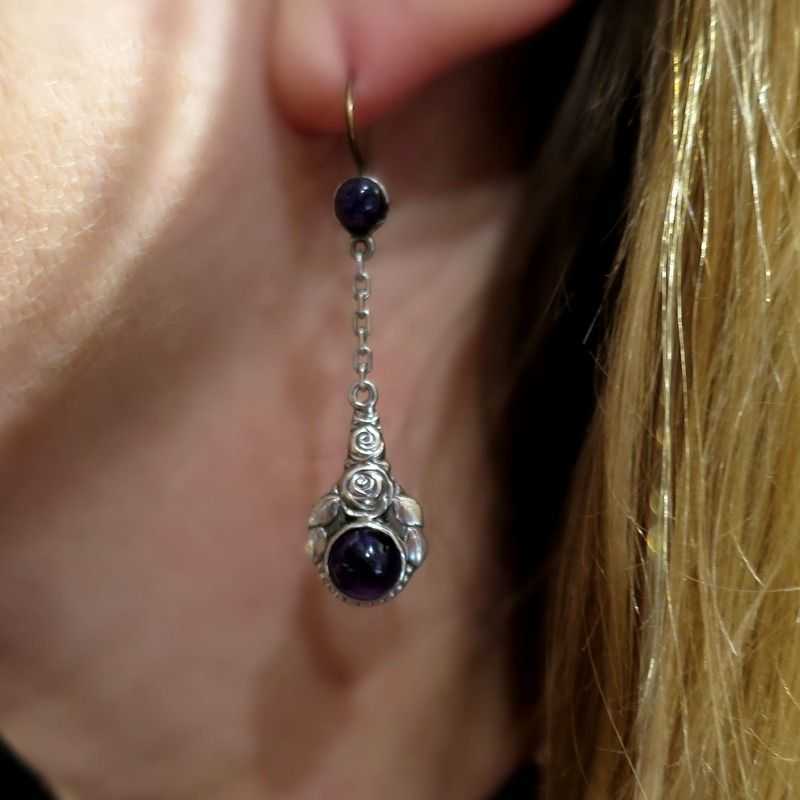 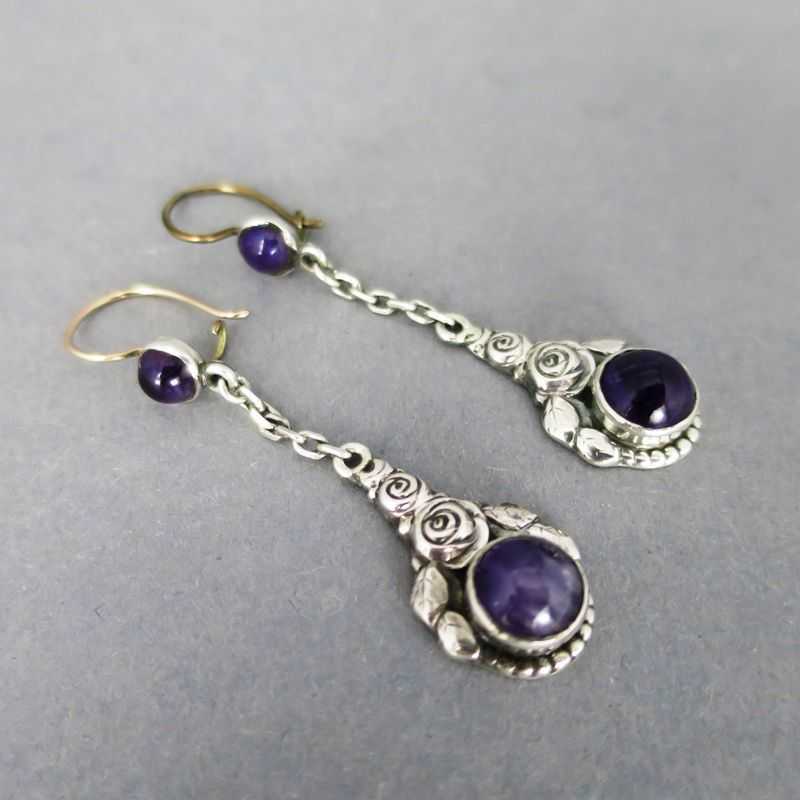 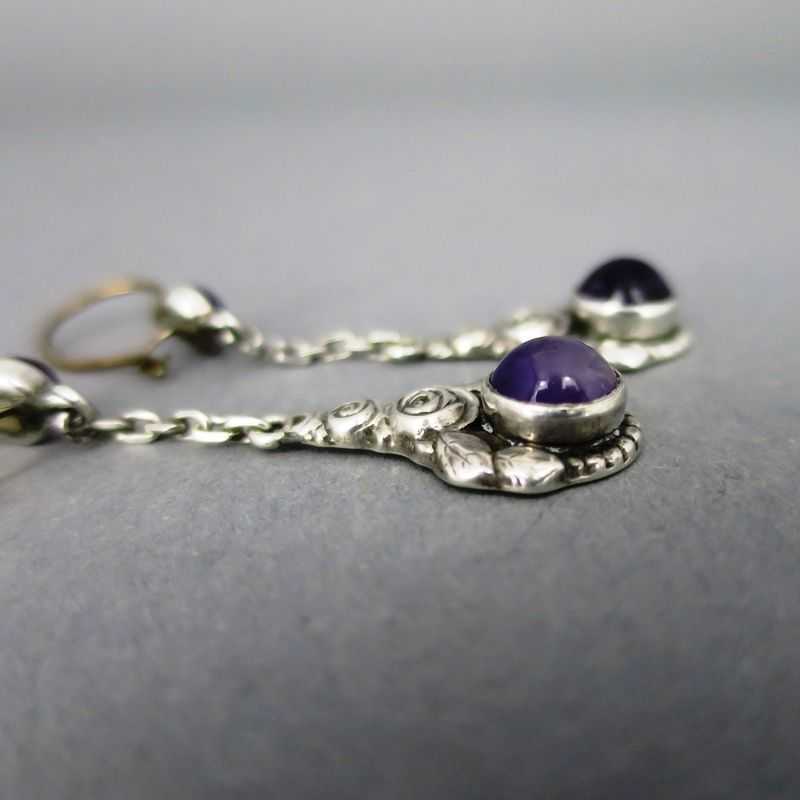 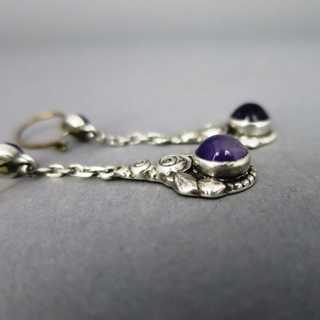 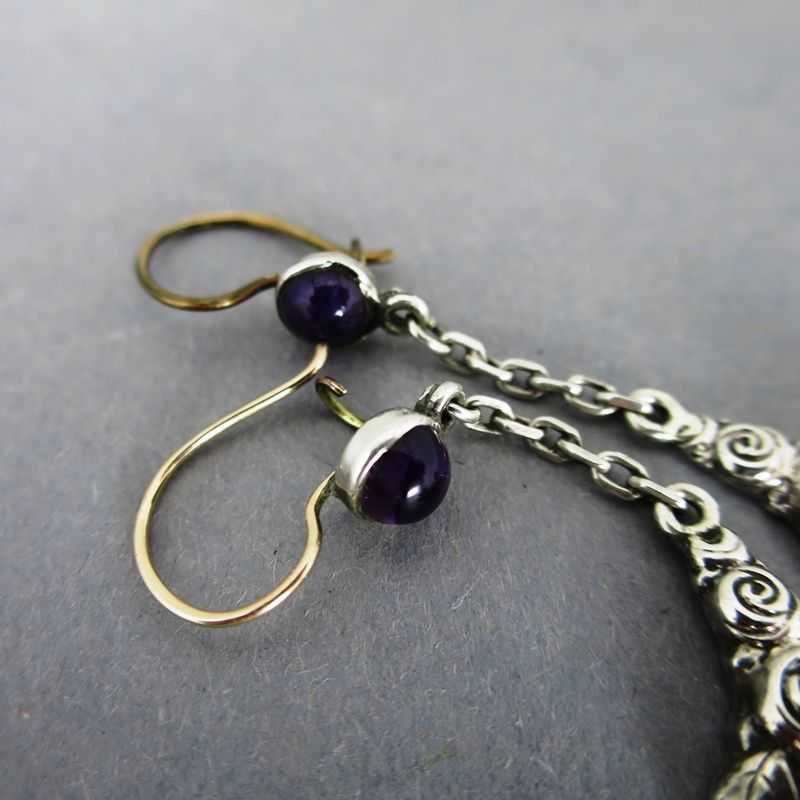 Long earrings from the time of german Jugendstil. The earrings have the shape of drops, hanging on chains. 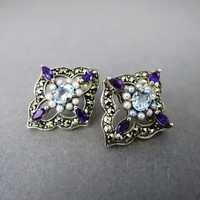 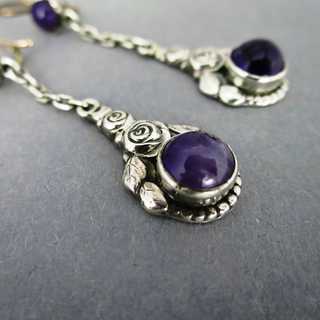 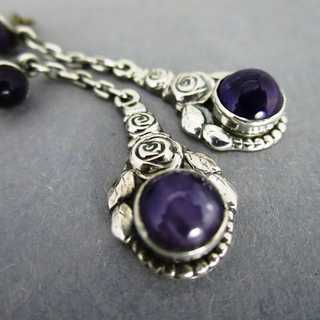 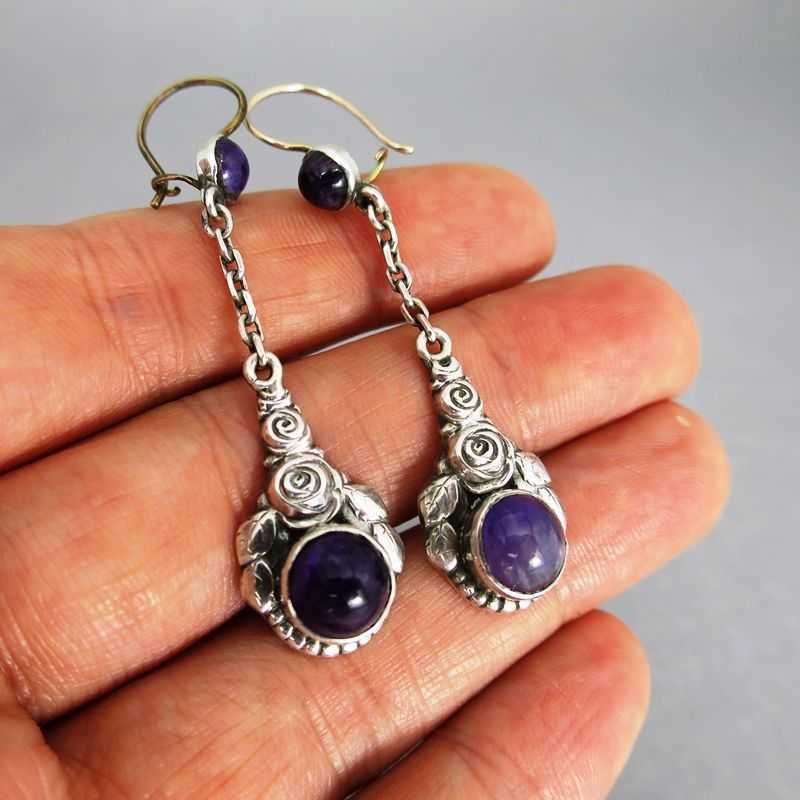 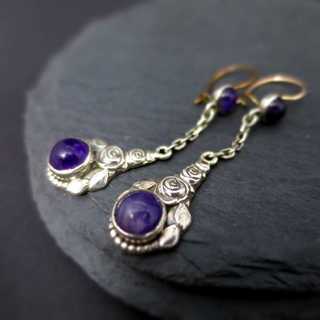 Their body is decorated with roses and leaves, surrounding a round, deep violet amethyst cabochon in bezel setting. 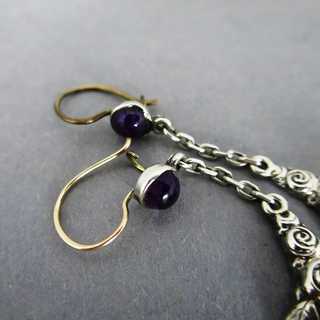 Hooks in gold, recomended for allergic persons. 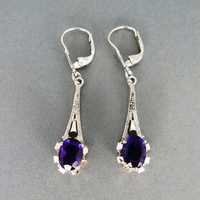 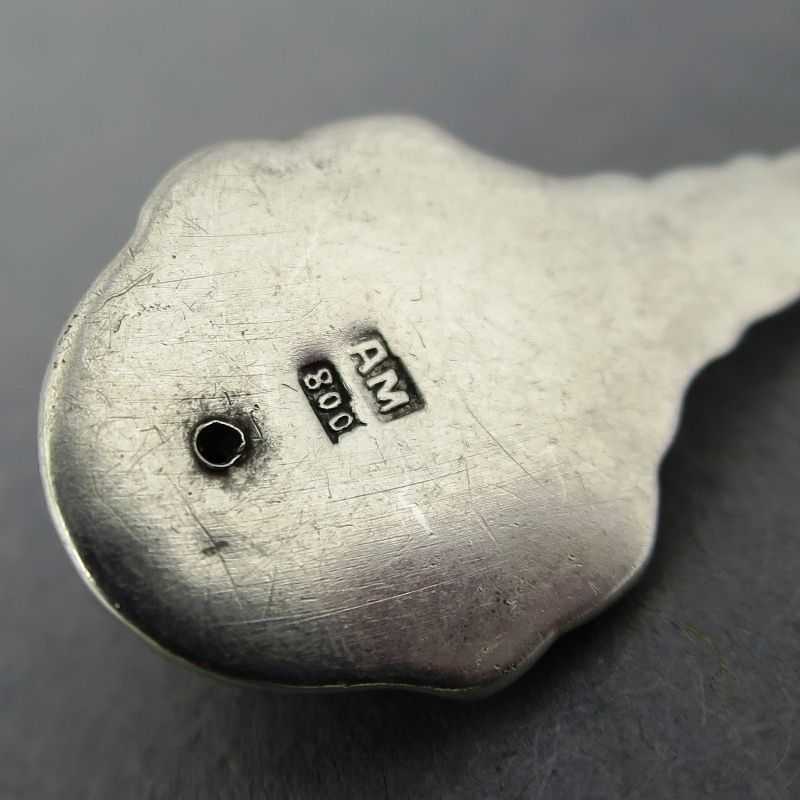 Created in Germany, about 1900.